While advancements in science, medicine, and agriculture have played a role in decreasing the relative importance of the dog in human survival, their importance as pets, companions, and surrogate family members may be greater than ever. Once more commonly selected for their athletic prowess and behavioral traits, the rise of dog fancying over the past 250 years has elevated the importance of canine aesthetics to previously unprecedented heights. As a result, dog breeders have historically gone to great lengths to produce dogs with unique phenotypic characteristics desirable to potential pet buyers. While most of these characteristics are simple, mendelian genetic traits without health concerns, some desirable and interesting traits such as the merle coat color pattern are unique to domestic animals and bring with them a complexity and potential health concerns that veterinarians should be aware of in their goal of facilitating canine health and wellbeing. Genetics play an enormous role in the health of dogs walking through the doors of any veterinary hospital. However, the treatment of an animal with an inherited disease rather than proactive testing of the genetic mutations responsible for disease has been the traditional role of the veterinarian. 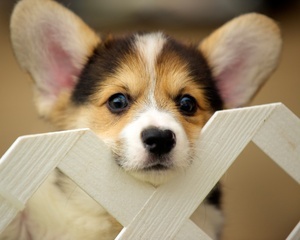 With an increase in the availability of canine genetic disease testing and great improvements in the ease and convenience of ordering genetic testing through Paw Print Genetics, more and more dog breeders and their clients are having genetic testing performed preemptively and learning the benefits of these powerful technologies. 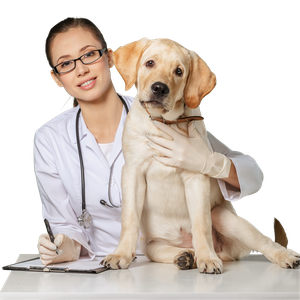 As a veterinarian, understanding the basics of genetic testing and how genetic test results can be used to prevent and diagnose disease will keep you current and prepared for your clients as these technologies inevitably become a more significant part of clinical veterinary practice. Discovery of disease-associated, canine genetic mutations has greatly increased over the past two decades. 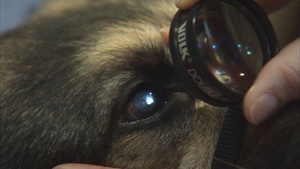 As a result, identification of these mutations through genetic testing has quickly become a useful tool for dog kennels and veterinary practices by allowing for the identification of asymptomatic disease carriers, diagnosis of affected dogs, and prevention of inherited diseases through informed breeding practices. However, because mutation discovery is often funded by specific breed clubs with interest in a breed-related disease concern, study investigators may not perform extensive, species-wide population studies for a newly discovered mutation. 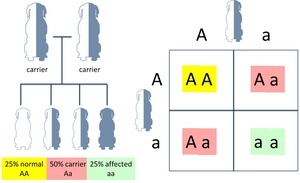 Therefore, in many cases, additional breeds inheriting the same mutation (and developing the same disease) may remain unknown for quite some time after the initial discovery. If a cavalier King Charles spaniel falls in the woods and no one’s around, is it episodic falling syndrome? There aren’t many things sweeter in life than a cavalier King Charles spaniel (CKCS). From their friendly, outgoing demeanor to their adorable, pouty eyes, they have definitely become one of my favorite breeds over the years. It appears that others understand my enthusiasm for the breed as well. In the fifteen years from 2002 to 2017, CKCS have moved up from 40th place to 19th place on the AKC’s registration statistics and are one of the most popular breeds in the United Kingdom. 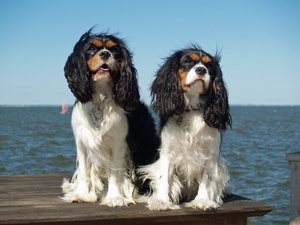 Unfortunately, like other popular dog breeds, cavaliers have their share of inherited diseases that can potentially reduce their quality and quantity of life. 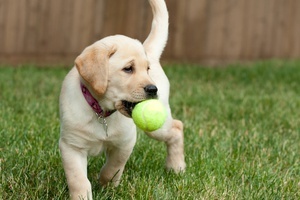 At Paw Print Genetics, we strive to control these diseases for our canine companions. Some of the most emotionally challenging canine cases seen in the veterinary hospital are those involving serious illnesses of newborns or young puppies. Owners’ joyous expectations of a long, healthy relationship with their new puppy makes a disease which decreases that puppy’s quality of life or results in early euthanasia, all the more heartbreaking. 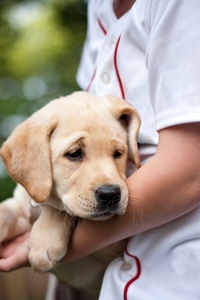 Though infectious diseases like parvovirus are often of particular concern in young pups, some puppies ending up on the exam room table show signs of one of a wide array of inherited diseases caused by a known genetic mutation. Unfortunately, limitations in available therapies for many inherited diseases often lead to frustrating and emotional outcomes for all the parties involved; veterinarians and veterinary staff included. Thereby, making prevention of inherited disease through the use genetic testing, an essential part of healthy dog breeding. 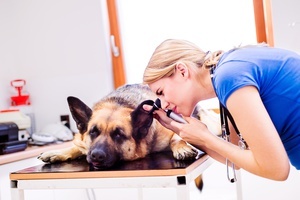 Veterinarians examine, treat, and diagnose dogs with inherited diseases daily. Though treatments to fix some inherited disorders such as cryptorchidism and umbilical hernias are relatively safe and effective, rarely are the inherited disorders seen in practice remedied with a simple, relatively low-cost solution. In fact, in many cases of inherited disease, treatment options are extremely limited or non-existent. Therefore, an option to prevent these diseases before they occur would be preferable in most circumstances. Genetic disease testing made possible by the discovery of the causal mutations has become the best medicine to combat many inherited conditions. 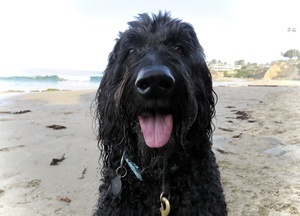 Genetic testing of dams and sires has become commonplace in many dog breeds as breeders have recognized the power of identifying those dogs at risk of producing puppies with inherited diseases. 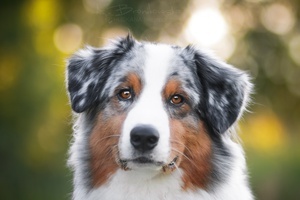 Unfortunately, however, some breeders have been slow to adopt the routine use of genetic testing as they continue to rely on traditional selective breeding techniques. Limited by the inability to identify unaffected carriers of disease, selective breeding has historically proven relatively ineffective in the pursuit of large reductions in disease incidence. The liver disease, copper toxicosis (CT) has become a hot topic among Labrador retriever breeders and dog owners with the arrival of a new genetic test which identifies two recently described mutations found in Labradors associated with opposite effects on the amount of dietary copper stored in the liver. As with all new canine genetic tests, questions and concerns may arise from breeders about how to interpret their dog’s test results, how to use this information to maintain the health of their dog, and how to use the information for their breeding program. What is liver copper toxicosis?